Although the battery life is generally only 3 years, if used properly, it can fully extend its service life. The fall of autumn, the oil battery should pay attention to maintenance, and today to introduce to you a few matters needing attention to car oil battery maintenance, allowing you to enjoy more comfortable and safe driving pleasure. According to professionals, although the battery life is generally only 3 years, but if used properly, can fully extend its life. First of all, do not exceed 3 seconds each time you start the engine. If the first start fails, do not rush to start it repeatedly. Because continuously starting the motor will cause the battery to be overdischarged and damaged, the time interval for restarting should not be less than 5 seconds. Followed by do not use the CD, cigarette lighter and other electrical equipment when the vehicle is not started. After shutting down, pay attention to turn off lights and other power-consuming components. The sensitivity of the anti-theft device should not be adjusted too high. In addition, when the vehicle is not used for a long time, it should be started once a week to charge the battery, otherwise it will shorten the life of the battery due to self-discharge. In order to avoid a sudden strike on the battery, it is recommended to replace the time limit on the replacement of a new battery, or else the consequences would be disastrous. If you are in a battery strike in an urban area, you can call and rescue; if you are away from the rescue area, once the battery is not working, the cost of long-distance rescue is much higher than the price of one or two batteries. When starting the car, the uninterrupted use of the start-up opportunity causes the battery to be damaged due to excessive discharge. The correct way to use it is that the total length of time for each vehicle is less than 5 seconds, and the interval for starting again is not less than 15 seconds. In the case of a car that has not been started for many times, the cause should be found in other aspects such as a circuit, an ignition coil or an oil circuit. The battery is an indispensable part of the car. According to the existing battery types in the market, it can be roughly divided into two types: traditional lead-acid batteries and maintenance-free batteries that have been used widely in China in recent years. The following is a description of some issues that need attention when using and maintaining batteries. The lead-acid battery is composed of positive and negative plates, separators, housings, electrolytes, and wiring pile heads. The chemical reaction of the discharge is based on the active material of the positive electrode plate and the active material of the negative electrode plate in the electrolyte (dilute sulfuric acid solution). Next, the grid of the plates is made of lead-antimony alloy. The traditional battery will reduce the liquid during use. This is because the crucible on the grid will contaminate the lead on the negative plate, causing excessive decomposition of the water. A lot of oxygen and hydrogen respectively escape from the positive and negative plates, making electrolysis possible. Reduced fluid. The maintenance-free battery is made of lead-calcium alloy. Since the battery uses a lead-calcium alloy grid, the amount of water decomposed during charging is low, and the amount of water evaporation is also low. With the sealed structure of the housing, the sulfuric acid gas released is also Few, so compared with traditional batteries, it has no need to add any liquid, less corrosion to the wiring pile head, wire and body, anti-overcharging ability, large starting current, long storage time, etc., in recent years China is very popular. No matter what type of battery, it will slowly discharge itself until it is scrapped. Therefore, a car should be started at regular intervals to charge the battery. Another way is to unplug the two electrodes on the battery. It is important to note that the positive and negative electrode wires are unplugged from the electrode post. Unplug the negative wire first, or remove the connection between the negative electrode and the car chassis. Then pull the other end with the positive sign (X). The battery has a certain service life, and it must be replaced in a certain period. At the same time, the above sequence must be followed. However, when the electrode wire is connected, the order is the opposite. Connect the positive electrode first, and then connect the negative electrode. The storage capacity of the battery can be reflected on the dashboard. When the current meter pointer indicates insufficient power, charge it in time. Sometimes it is found that there is not enough power on the road, and the engine can't turn off and start. As a temporary measure, you can ask other vehicles for assistance. Use the batteries on their vehicles to start the vehicle. Connect the negative and negative poles of the two batteries. Connect the positive and positive poles. . When starting the car, the uninterrupted use of the start-up opportunity causes the battery to be damaged due to excessive discharge. The correct method of use is that the total length of time for each vehicle is no more than 5 seconds, and the interval for starting again is no less than 15 seconds. In the case of a car that has not been started for many times, the cause should be found from other aspects such as the circuit, ignition coil or oil circuit. For wet batteries (lead-acid batteries), the density of electrolyte should be adjusted according to different regions and seasons. Distilled water or special rehydration solution should be supplemented at the time of deficient electrolyte. Avoid pure drinking water instead. Because pure water contains many trace elements, it will cause adverse effects on the battery. In addition, the daily operation should always check the small hole in the battery cover is vented, if the battery cover hole is blocked, the resulting hydrogen and oxygen can not be discharged, the electrolyte expansion, the battery casing will burst, affecting the battery life. Finally, you should always check whether the positive and negative electrodes of the battery are oxidized, and if possible, use hot water to connect the battery wires. 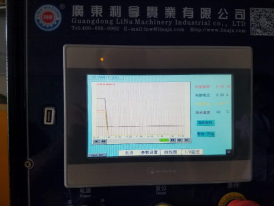 All types of LIAN Kneader Mixer can install PLC (Programmable Logic Controller) system to monitor the machine`s working process, such as temperature control, mixing time control, pressure control and data import and export. 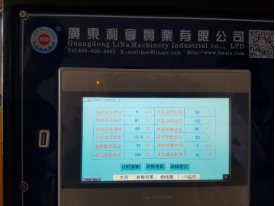 A touch screen is installed to manage the system and shows graphic data, Moreover, an Ethernet communication interface and 20% of the control points are reserved.